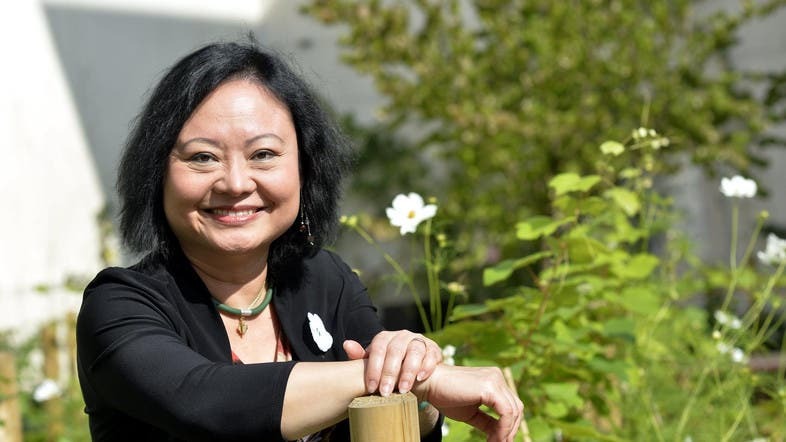 Kim Phuc, known as the ‘Napalm Girl’ pictured in an iconic 1972 Vietnam War photo, is receiving a 10,000 euro ($11,350) award in Germany for her peace work. Organizers of the Dresden Prize say the 55-year-old, who now lives in Canada, is being honored Monday for her support of UNESCO and children wounded in war, and for speaking out publicly against violence and hatred. Past recipients include former Soviet leader Mikhail Gorbachev and American civil rights activist Tommie Smith. Phuc was nine years old when a South Vietnamese plane dropped napalm bombs on her village, believing it harbored enemy North Vietnamese troops. The scene of Phuc running down a road crying, naked and with burns across her body, was captured by Associated Press photographer Nick Ut, winning a Pulitzer Prize in 1973.